A story adapted from the life of a young Asada Tetsuya, a famous novelist and mahjong player. In the year 1947, the people of Shinjuku are down on their luck. With little money to buy food or necessities, some resort to gambling in order to survive. Traveling Tetsuya chooses to spend his time at Mahjong parlors where he is wiping the floor clean with his adversaries. However, Tetsuya meets the intensely-skilled Boushu-san, this is when he realizes that his skills are still lacking. Tetsuya then strives to learn the secrets of Mahjong from Boushuu. 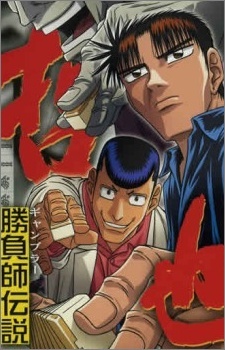 Tetsuya quickly becomes a famous mahjong player, and he eventually earns a title, Saint Jong (Jong Sei). His life story is then adapted into this anime. Watch Legendary Gambler Tetsuya Episodes Online at Animegg.org. Legendary Gambler Tetsuya is available in High Definition only through Animegg.org. Choose an episode below and start watching Legendary Gambler Tetsuya in Subbed & Dubbed HD now.